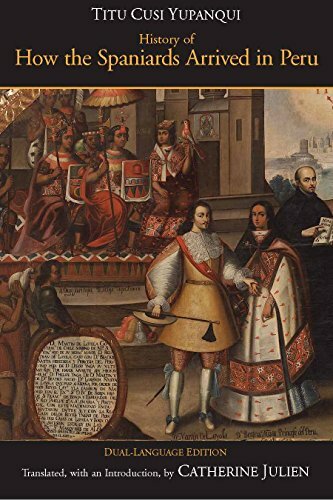 Catherine Julien's new translation of Titu Cusi Yupanqui's Relasçion de como los Españoles Entraron en el Peru--an account of the Spanish conquest of Peru by the last indigenous ruler of the Inca empire--features student-oriented annotation, facing-page Spanish, and an Introduction that sets this remarkably rich source in its cultural, historical, and literary contexts. Manufacturer: Hackett Publishing Company, Inc. Studio: Hackett Publishing Company, Inc. If you have any questions about this product by Brand: Hackett Pub Co, contact us by completing and submitting the form below. If you are looking for a specif part number, please include it with your message.